Sipping that perfect coffee, lounging around in your house, tired of walking around aimlessly, and then you just feel like dropping your knees and throwing yourself on to something that feels like heaven. Know that feeling? Bean bags, guys! The comfy paradise of what being lazy looks like. Here are two that you’re gonna love. Take your pick according to the size of your wallet. Remember the time when bean bags had just become popular and everyone wanted them, but they were so expensive? That time’s gone, my friend. You can now own more than one, and accommodate those friends that randomly decide to stay over because they’re too hammered and well, you don’t really have a king-size bed for them. Solves all problems and is all too comfortable. 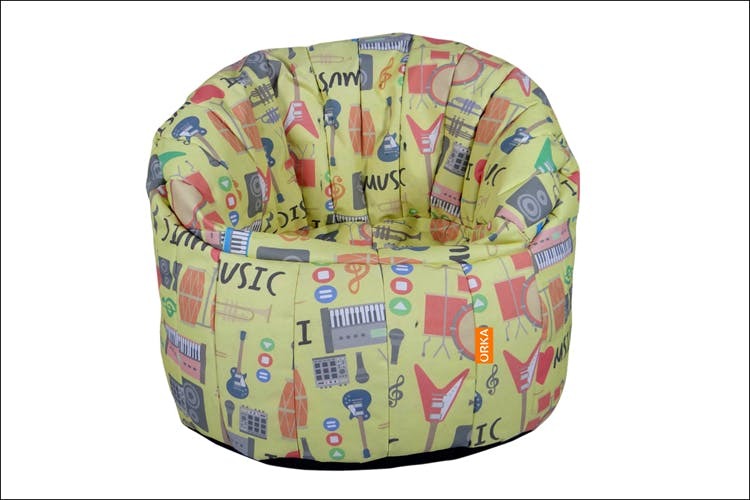 This one’s really a super cool, fancy bean bag, designed for that correct posture and with a really funky print even. Now sit on it like an important person, and don’t let another soul come near it. Happy chilling!